Advance the state of the art of subsurface modeling at basin and reservoir scales. Contribute to research and technology in subsurface data and knowledge integration. Support training of graduate students in geoscience and software development. Get early access to RING research outputs through consortium papers, software and trainings. Access executable and source of RING software. RING software can be integrated royalty free in proprietary products by industrial sponsors (more details). The Consortium is administered by ASGA (Association scientifique pour la Géologie et ses Applications), a not-for profit organization authorized for Crédit-Impôt Recherche tax (tax deduction under French law). Three types of Consortium membership levels exist. Please feel free to contact us is you have any question. All companies or organizations can join as regular industrial members for a fixed annual fee of 21,000 Euros (plus a one-time joining fee of 5000 EUR). 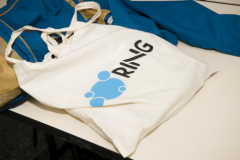 The regular industrial members have full access to RING research outputs, including royalty-free source code. Small companies with 30 employees or less are eligible to the restricted industrial member status. The annual cost for restricted industrial members is 5,000 Euros (plus a one-time joining fee of 5000 EUR). As the name says, restricted industrial members have limited rights on Consortium outputs as compared to regular industrial members. Universities and not-for-profit organizations can join and benefit from many benefits. The annual RING-GOCAD consortium cost is 1500 Euros. Please note that Paradigm supports the RING-GOCAD Consortium by asking its academic SKUA-GOCAD clients to join the RING-GOCAD Consortium (see Emerson University Program 2019). and US $2000 to Paradigm for your 5 academic licenses (UE4a & UE10a), including support and upgrades. Licenses for the GOCAD-SKUA software are not provided by ASGA and may be independently purchased from Paradigm Geophysical. The information in this document is subject to change without notice and does not represent a commitment neither on the part of ASGA nor Paradigm.